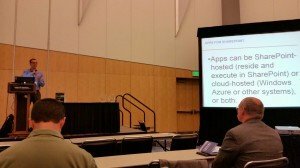 Last week was the 5th annual SharePoint Fest Denver. My first SharePoint Fest was SharePoint Fest NYC in June. Both were great events. The feedback I received from attendees of all 4 sessions at both shows was great and I’m looking forward to presenting at a third SharePoint Fest in Chicago in December. 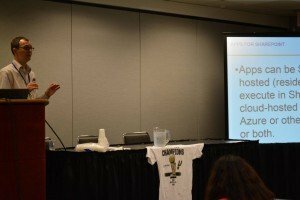 If you haven’t attended a SharePoint Fest in your city when it comes through, I encourage you to try one. There were many speakers at both events I’ve attended that I’ve learned a lot from over the years. Above: Same slide, two different cities. On the bottom picture, Benjamin Niaulin caught me with my Spurs championship shirt presenting the same slide in NYC that Katie Herd caught me presenting in Denver on the top. 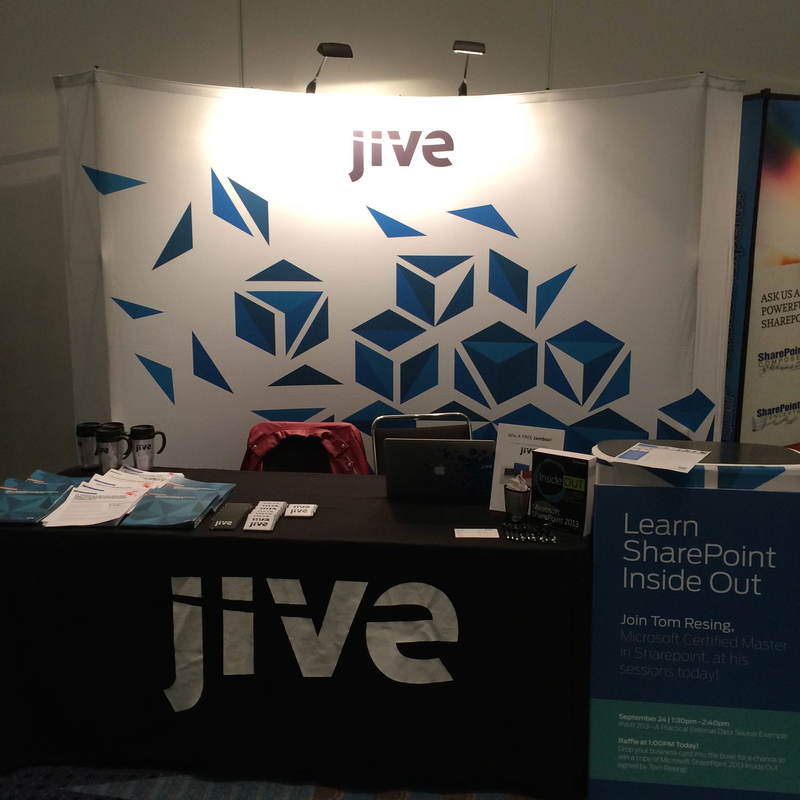 In addition to speaking, I got the chance to meet some Jive customers and future customers at the Jive booth. I signed and we gave away 8 copies of SharePoint 2013 Inside Out. 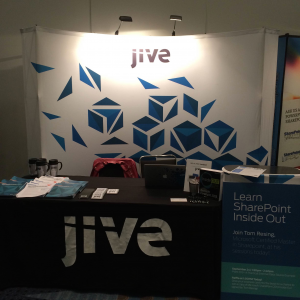 Despite a strong history of great Microsoft integration, Jive only recently began sponsoring SharePoint events. Considering the announcement of Jive Connectors for Office 365 the week before, it was great timing. It’s great to see the SharePoint community learning about the Jive platform. They are very complimentary ecosystems. If you attended my session and would like to see the slide decks for reference, I’ve uploaded them to SlideShare and included them below. If you did or didn’t attend and want more information, read OData BCS Code Sample from TechEd 2014. You can see the full recording of a session with related material from Microsoft TechEd North America 2014. I reviewed your slides. Great work. I hope there is a SharePoint Fest for DC coming up. Yes. In fact, I hear there is one in the works for next April. Also, there is a SharePoint Saturday DC coming up in a few weeks in October. You may be able to catch me there if they accept my submission.